Please visit our dedicated birch genome website www.birchgenome.org for latest information and data. A paper reporting the sequencing of the dwarf birch genome, and the testing of restriction site associated DNA markers in dwarf and downy birch was published online in Molecular Ecology on 21 November 2012. 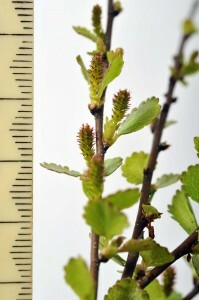 The dwarf birch (Betula nana) genome is composed of 450 million bases. We sequenced it using Illumina technology. This generated millions of short DNA reads in pairs separated by 200, 500, 800, 2000 and 5000 bases. Enough DNA was sequenced to cover the genome sixty-six times. This data set was assembled on high performance computers at Queen Mary University of London. Restriction site associated DNA (RAD) markers were developed in collaboration with scientists at the University of Edinburgh. These allowed us to examine thousands of sites in the genome of different trees, both in dwarf birch and downy birch (Betula pubescens). 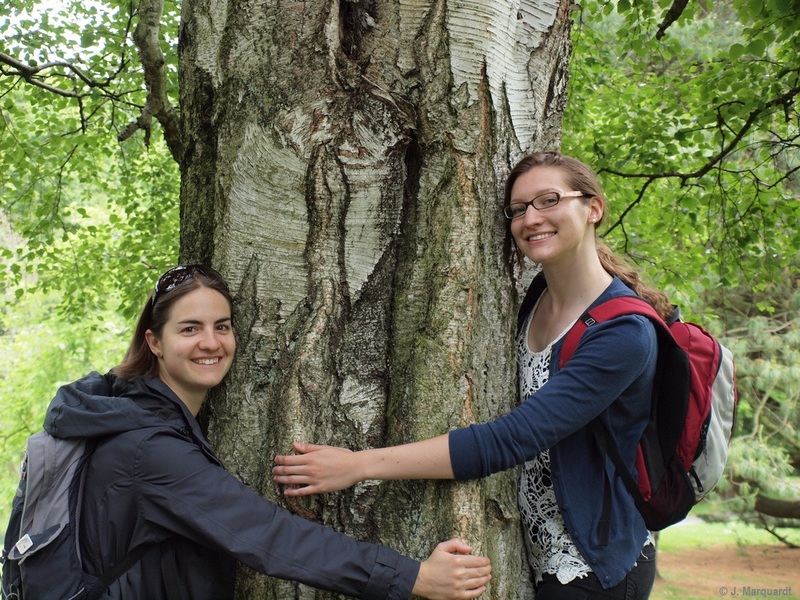 PhD students Jasmin Zohren and Lizzy Sollars, who are analysing the birch genome. The read data for the genome can be found in the EMBL-EBI public database here. The genome assembly can be found at EMBL-EBI here.